Safety and convenience are the name of the game when it comes to explaining just why businesses like yours use hand trucks on a regular basis. These two factors really go hand in hand; it is both easier and safer to move heavy equipment or items across your warehouse with the help of a hand truck. 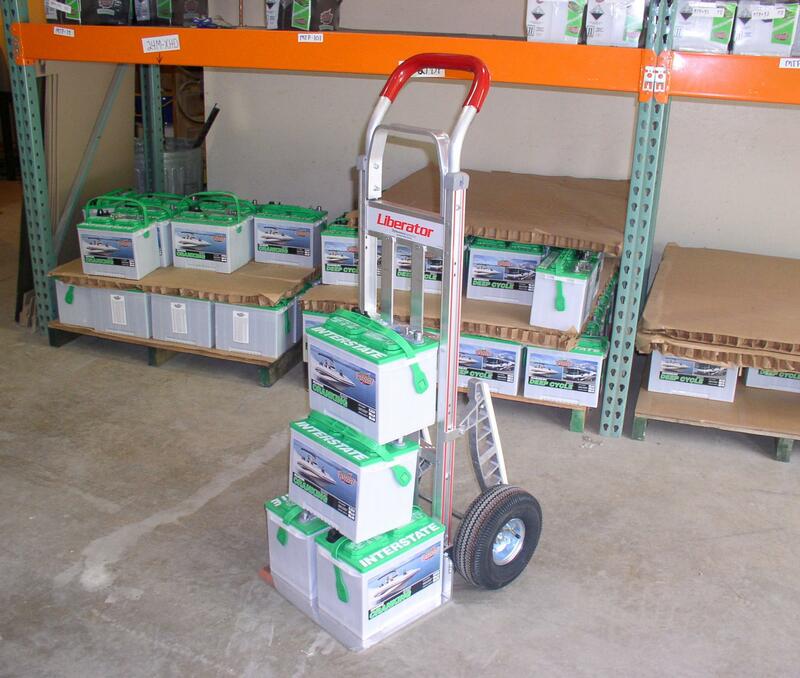 Without properly functioning hand trucks, you run the risk of employee injury, product damage, and slower service. Read on to find out more about the importance of hand trucks to your Maryland business. Where can I purchase reliable, high quality hand trucks? Hand trucks come in both steel and aluminum varieties, which are both designed to carry heavy weights with ease. The key advantage is that though hand trucks can carry and transport up to 500 pounds, the truck itself is comparatively lightweight; most weigh in under 25 pounds. The S.W. Betz Company has long been a distributor of one of the top names in the hand truck world: Magliner. Magliner trucks are durable, dependable, and expertly-designed for maneuverability. Can S.W. Betz repair my damaged hand trucks? The S.W. Betz Company has the standard hand truck parts in stock that you need to replace damaged or missing parts and keep things running smoothly. From tires to cast magnesium nose plates, your hand truck needs can and will be met. Orders are fulfilled within as little as 24 hours, and they can either be shipped out to your business for your convenience or be picked up from our warehouse to eliminate the need for additional fees. Remember these few key rules when you go about using your new hand truck from S.W. Betz. -Pushing the truck rather than pulling it is safer, both for you and your cargo. Items are less likely to fall off the back of the truck, and you will not strain muscles by pulling repeatedly. -Keep your path clear of obstructions so you can easily push your hand truck across the warehouse. -Maintain a safe speed when operating your hand truck- no races! This entry was posted on Thursday, October 2nd, 2014 at 4:53 pm. Both comments and pings are currently closed.